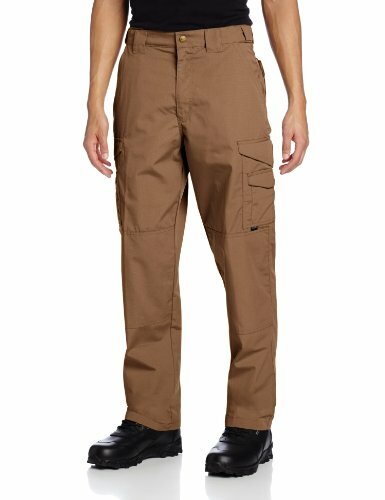 In search of the best tactical pants? Embracing a practice such as shooting is not something one takes lightly. It requires discipline, courage, determination, and passion. Such is the case when it comes to making sure that your gear is complete. One of the most important parts of a shooting gear is a pair of good-quality tactical pants. 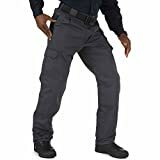 A bit similar to cargo pants, tactical pants are explicitly designed for SWAT agents, EMTs, law enforcement and military officers, and fire professionals. Tactical pants are widely used not only at work but also as casual wear. These pants not only offer comfort and style, but also functionality, safety, and a good value for money. Read on to learn about premium-quality tactical pants available in the market today! The 5.11 Taclite Pro Pants is famous because they provide outstanding comfort and performance even in high-pressure conditions. They are guaranteed to be reliable and useful in almost any activity including operational and recreational work. These serve as a benchmark for tactical pants everywhere. 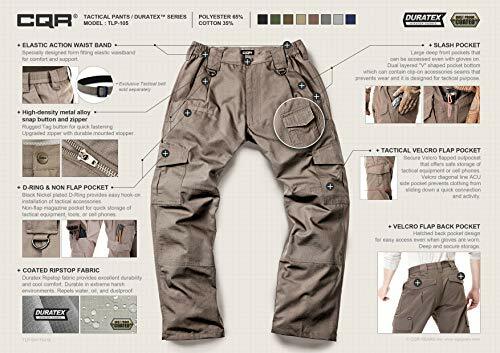 These tactical pants are made from lightweight, breathable, and durable material composed of 65% polyester and 35% Taclite poly-cotton ripstop fabric. These fabrics are treated with an impressive HT Teflon finish to ensure water-, stain-, and dirt-resistance. The pants come with seven symmetrical pockets, aside from the extra pocket in the left side. There are no hidden pockets, though. These also feature an external knife pocket, strap-and-slash seat pockets, rear web strap, and clip loop. The gusseted construction of these tactical pants adds durability and strength. It has triple-stitching and bar-tacking at the major seams and stress points. The 5.11 pants offer a legendary fit. However, its pleated design is somewhat built for lean users and not for those with heavier built. This pair of pants has an elastic waistband that can stretch to up to 1.25 inches on each side. There are five belt loops available to accommodate a 1.75 inches wide belt. The pants have double reinforcements in the seat and knees. These are also present in the front and back slash pocket in order to hold a clip or a folding knife. These tactical pants are equipped with a French fly with a Prym snap and a bronze YKK zipper. The Tru-Spec 24-7 Tactical Pants is built to give comfort, both for on-duty and off-duty. These enhance the efficiency of the movements while giving a casual and professional look for any environment. They let you work hard, feel comfortable, and look great all at the same time. The pants come with symmetrical and sturdy pocket construction of 14 pockets. It includes two internal pockets and two knife pockets. These also come with thigh cargo pockets that physically expand to further open. The pockets that are made with slanted flops is a visual indicator of the pants uniqueness. However, the color of the inside pockets is a bit lighter than the usual color. The tactical pants are made from 8.5 ounces, 100 percent cotton canvas. This features natural breathability and a basket weave construction that makes it stronger than other weave patterns. Also, these pants are best used in warm outside environments. They are an ideal solution for tactical jobs during the summer months. Additionally, these pants are pretreated in order to prevent shrinkage and color fading. The non-pleated style of these pants gives a nice fit to heavier-built men due to its roomier place. The pants use elastic slider waistband instead of a gusseted or diamond-shaped crotch to prevent blowouts and relieve the tension. These are self-adjusting to help adjust the pants to your body frame. This elastic waistband also gives about two inches of flexibility in each side for more flexible movement and better weight fluctuation. The belt loops present can accommodate a 1.75 inches wide belt. The pants use a French fly with Prym snaps and a thicker brass-colored YKK zipper. This zipper is about two sizes larger than the average zipper. It has a built-in knee pad pockets for a more reinforced knee. The CQR Men’s Tactical Pants are specifically designed to address the high demand of the industry. They are manufactured with craftsmanship, professionalism, and quality in mind. These characteristics make them one of the best and most reliable brands in the market today. These tactical pants are made from the most A-grade military materials, 65% polyester and 35% cotton Rip-Stop fabric. This combination offers high-density to ensure strength and performance even in difficult terrains. The pants have eight multi-purpose pockets that can carry various tools and equipment. One of the pockets has an upgraded front flap pocket for better accessibility. Its Duratex fabric repels the dirt, liquid, and other contaminants, making it weatherproof, waterproof, and stain-resistant. The pants also allow easy drying and flexibility to any conditions. Moreover, these pants are resistant to wrinkling, fading, and shrinking in order to ensure withstanding plenty of washing and drying. The buttons and zippers of these pants use high strength metal alloy with a durable mounted stopper. 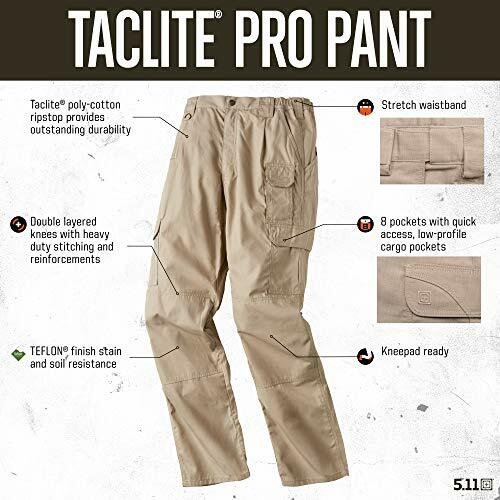 After careful comparison of the best tactical pants available in the market today, the 5.11 Men’s Traditional Taclite Pro Work Pants seems to top it all. These tactical performance pants offer comfort, flexibility, durability, and versatility. Its symmetrical pockets can conveniently and easily carry stuff and tools anywhere. The reinforced and durable construction of these pants guarantees safety and resistance against several physical movements, extreme weather conditions, and other demanding activities. Lastly, the incredible quality of the high-grade materials used in these pants’ construction gives the optimum and reliable performance that will ensure to last for a long time. 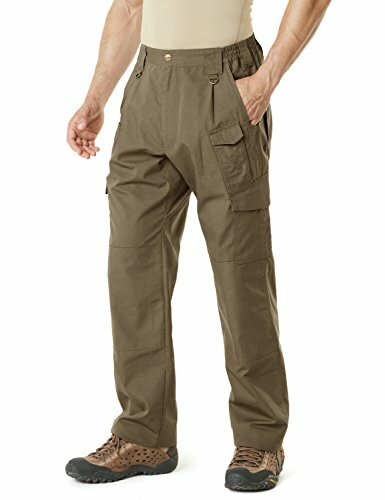 Overall, the 5.11 Men’s Traditional Taclite Pro Work Pants is an affordable and well-equipped solution that can handle almost anything that you come across.